Coins 244 M. Porcius Cato. 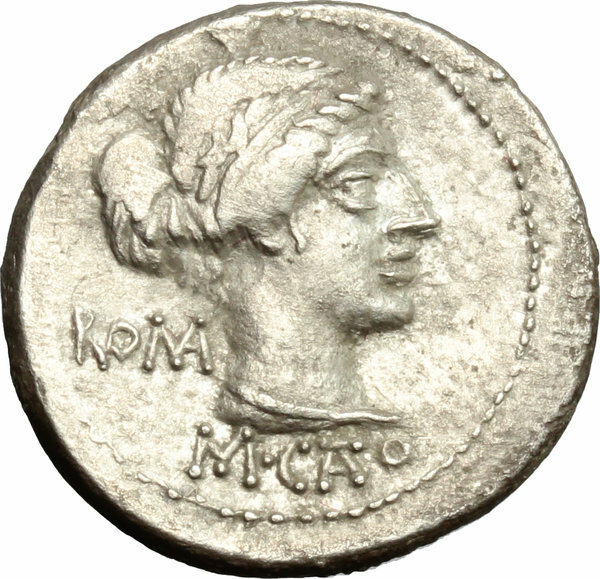 AR Denarius, 89 BC. D/ Female bust right; draped, hair tied with band. 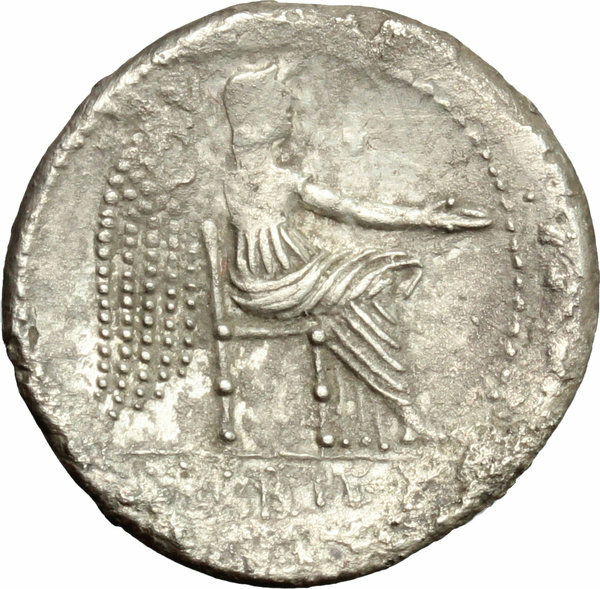 R/ Victoria seated right; holding patera and palm-branch. Cr. 343/1c. AR. g. 3.81 mm. 19.00 Slightly toned. About VF.